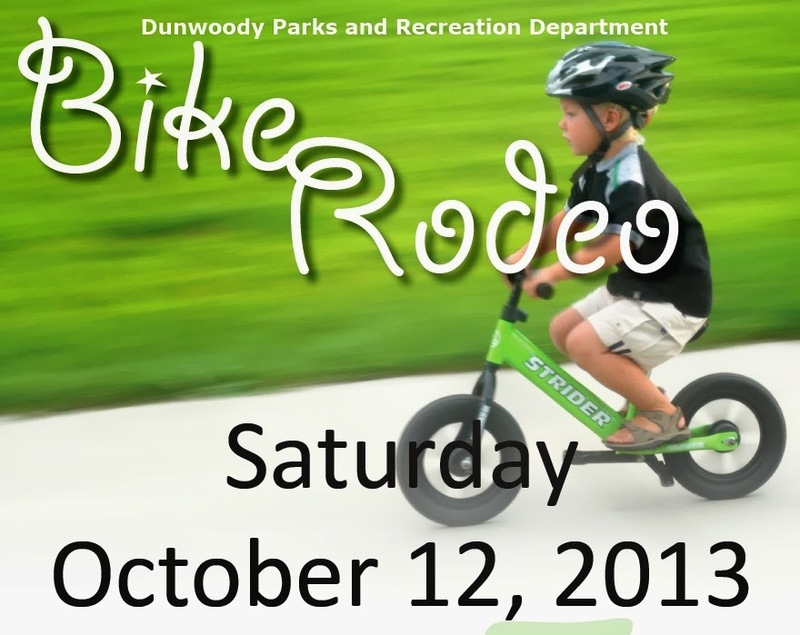 The City of Dunwoody Parks & Recreation is proud to present a Children’s Bike Rodeo at Brook Run Park the morning of Saturday October 12th. This event is free and open to the public. Bring the kids for some great fun and learning about safe riding! Kids need to bring their own bikes and helmets. We will have a limited number of helmets for children in need of them. There will be a raffle of door prizes, too!